Bring the kids along to Central Park and Statue of Liberty National Monument. Next up on the itinerary: admire the masterpieces at The Metropolitan Museum of Art, learn more about the world around you at American Museum of Natural History, wander the streets of Times Square, and admire the landmark architecture of Empire State Building. Newark to New York City is an approximately half hour car ride. You can also take a train; or take a bus. In December, plan for daily highs up to 48°F, and evening lows to 36°F. Finish your sightseeing early on the 26th (Wed) to allow enough time to travel to Yellowstone National Park. 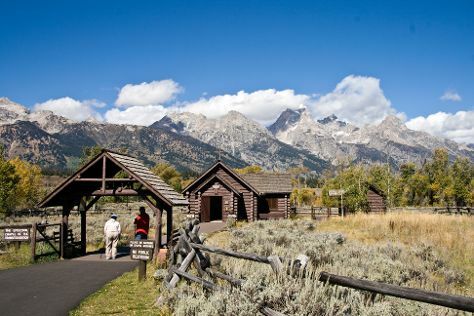 Kids will enjoy Grand Teton and Lehardy's Rapids. Next up on the itinerary: take in breathtaking views at Grand Canyon of the Yellowstone, take in the natural beauty of Upper Geyser Basin, identify plant and animal life at Hayden Valley, and get great views at Lookout Point. For more things to do, traveler tips, where to stay, and tourist information, refer to the Yellowstone National Park trip planner . Traveling by combination of bus, flight, and car from New York City to Yellowstone National Park takes 9 hours. Alternatively, you can do a combination of bus, flight, and shuttle; or drive. Traveling from New York City to Yellowstone National Park, you'll gain 2 hours due to the time zone difference. In December, Yellowstone National Park is cooler than New York City - with highs of 23°F and lows of 3°F. Cap off your sightseeing on the 29th (Sat) early enough to travel back home.